Jan Harrell, Enamelist, Metalsmith, Sculptor and Instructor at the Glassell School of Art in Houston, TX visited Cool Tools to create custom jump rings. Large jump rings can be created using square, round or half round wire and can add unique finished detail to any pendant or earrings. 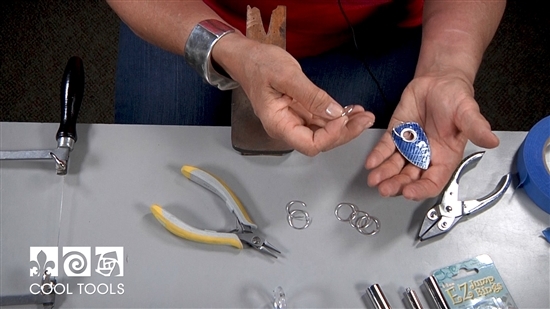 In this video, Jan uses a jump ring winder and a metalsmithing saw loaded with a 2/0 blade to create multiple jump rings exactly the same size. If you are interested in the products used in this video, please click this link: Products Used and scroll to the lower section of the page.